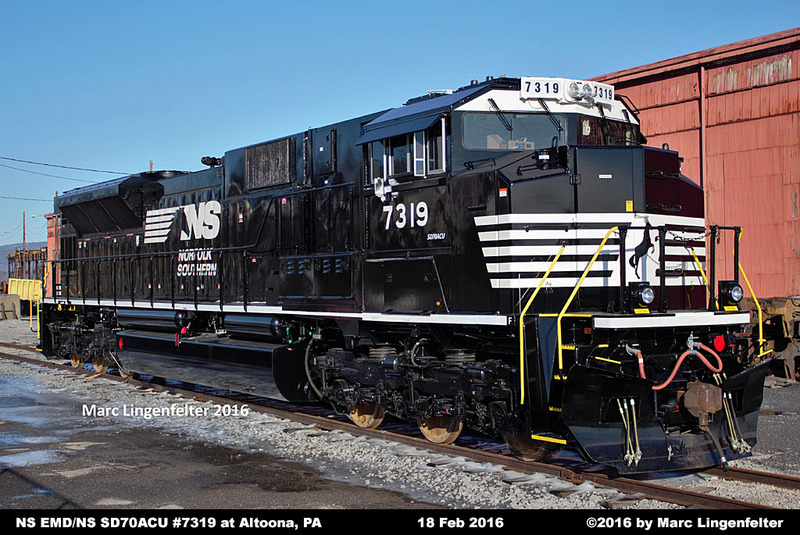 7229 NS SD90MAC 7229/UP 3481/UP 8015 08-2016 NS 01-1996 936449 936449-16 See numbering note at bottom of roster. 7239 NS SD90MAC 7239/UP 3479/UP 8009 01-2018 NS 01-1996 936449 936449-10 Unit currently stored, but still on the active roster. 7247 NS SD90MAC 7247/UP 3489/UP 8018 04-2017 NS 02-1996 936449 936449-19 Unit currently stored, but still on the active roster. 7250 NS SD90MAC 7250/UP 3529/UP 8021 04-2016 NS 02-1996 936449 936449-22 Unit currently stored, but still on the active roster. 7252 NS SD90MAC 7252/UP 3491/UP 8023 07-2016 NS 02-1996 936449 936449-24 Unit currently stored, but still on the active roster. 7260 NS SD90MAC 7260/UP 3504/UP 8031 07-2017 NS 06-1996 956613 956613-7 Unit currently stored, but still on the active roster. 7275 NS SD90MAC 7275UP 3539/UP 8047 06-2017 NS 08-1996 956613 956613-23 Unit currently stored, but still on the active roster. 7286 NS SD90MAC 7286/UP 3511/UP 8058 02-2016 NS 08-1996 956613 956613-34 Unit currently stored, but still on the active roster. 7287 NS SD90MAC 7287/UP 3512/UP 8059 10-2017 NS 08-1996 956613 956613-35 Unit currently stored, but still on the active roster. 7306 NS SD90MAC 7306/UP 3608/UP 8111 02-2017 NS 03-1997 966714 966714-37 Unit currently stored, but still on the active roster. 7310 NS SD90MAC 7310/UP 3544/UP 8148 12-2017 NS 04-1997 966714 966714-74 Unit currently stored, but still on the active roster. 7317 NS SD90MAC 7317/UP 3661/UP 8191 01-2017 NS 01-1998 976800 976800-13 Unit currently stored, but still on the active roster. 7319 UP SD9043AC 8247 02-2016 NS 04-1998 976800 976800-69 See numbering note at bottom of roster. 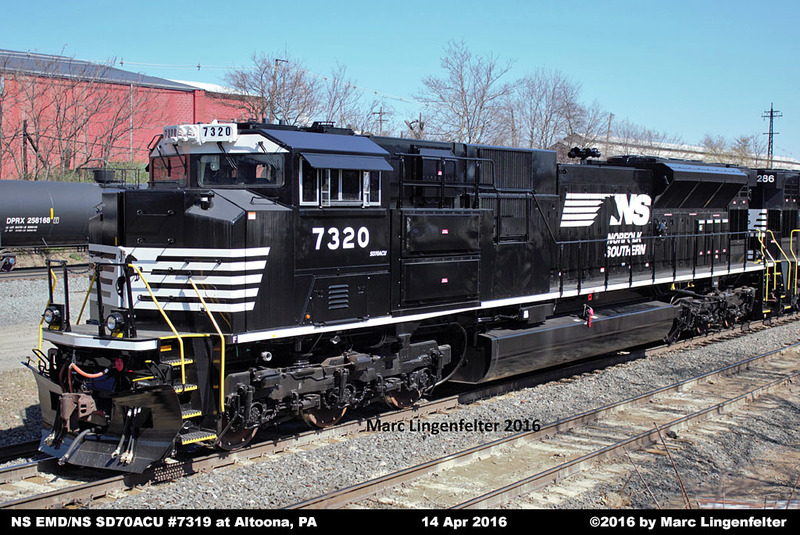 7320 NS SD90MAC 7320/UP 8200 04-2016 NS 01-1998 976800 976800-22 Unit currently stored, but still on the active roster. 7327 NS SD90MAC 7327/UP 8261 04-2016 NS 04-1998 976800 976800-83 Unit currently stored, but still on the active roster. 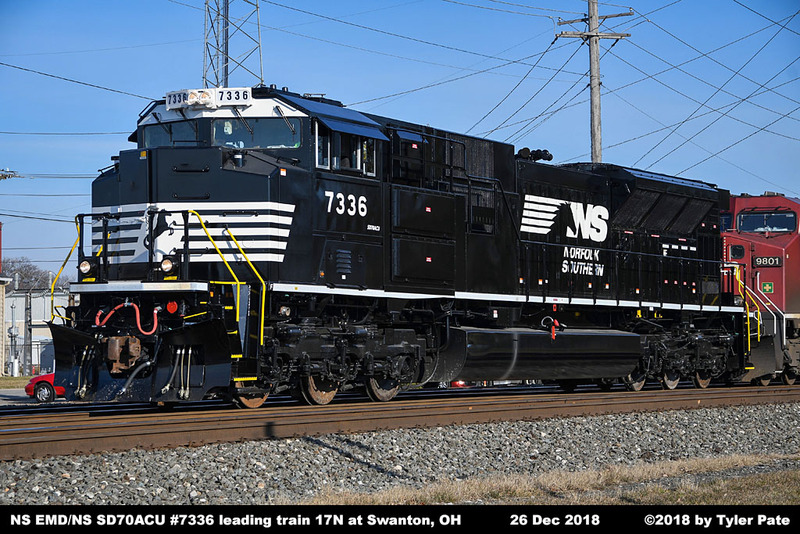 7339 NS SD70ACU/SD90MAC 7314/UP 3631/UP 8176 09-2016 NS 07-1997 966714 966714-102 Unit renumbered from NS 7314 10/2018. 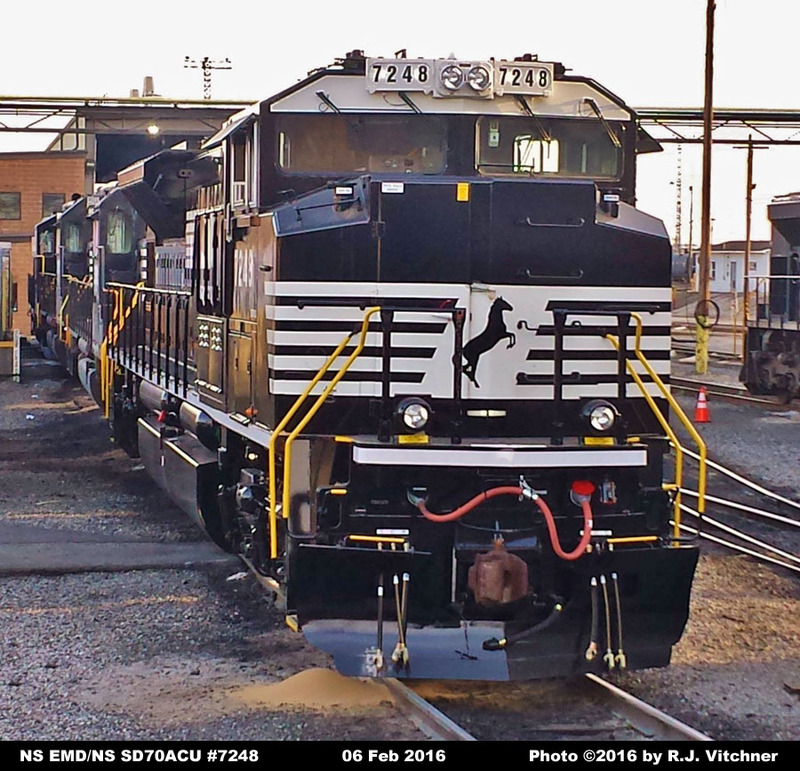 (7332) NS SD90MAC 7332/CEFX 120 -- NS 12-1999 986927 986927-21 Undergoing rebuilding 01-2018. Units are powered by an EMD 16-cylinder 710G3C-ES engine. being upgraded to 4,500 traction horsepower, the Tier 0+ units generally only make 4,300-4,400 horsepower. this modification when they were delivered to NS. NS did this modification to the former CIT units during rebuilding. 7329, 7330, 7331, 7333, 7336, 7337, 7338, 7339. AAR-style control stand, and electrical cabinet with Mitsubishi electronics. Units retain their original TA22 main alternator and 1TB2830 traction motors. Equipped with GE Ultra Cab II Cab Signaling and LSL (Locomotive Speed Limiter). New electric parking brake added with brake wheel on the left side of the long hood. Ditch lights added to the rear during rebuilding. 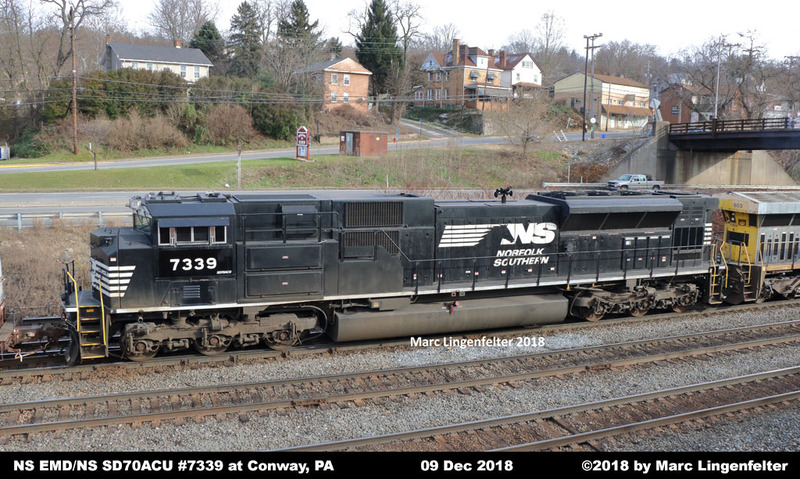 the former UP 3481/8015 was from the first UP SD90MAC order, NS chose to number it as 7229.
numbered 7319 to fill the open 7319 number slot to make the 7229-7328 series a solid group of 100 units.